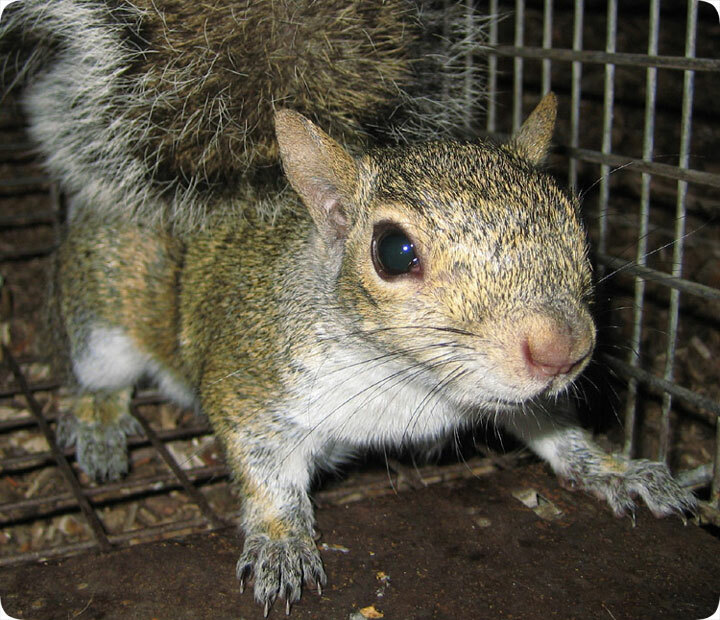 11.21.2003 - This is an Eastern Gray Squirrel, a common critter throughout the United States, and a common pest critter found in people's attics. These highly capable and adaptable animals are able to thrive in the woods and in the suburbs and even the middle of the city. They live in trees, attic, anywhere they can find a safe place to den. Thus, they commonly come into conflict with people, who wish to have them removed from the attic or property. I will now address some recent emails that I've received about squirrels.